A continuation of this article. Satyagraha is a concept introduced in the early 20th century by Mahatma Gandhi to designate a determined but nonviolent resistance to injustice. “Watch out! We're coming!” they sang in Malayalam. Over 100 Indian guest workers who broke an Indian-US human trafficking chain on Tuesday began a satyagraha to protest “the Indian government’s failure to protect Indian workers,” departing on foot from New Orleans on their way to confront Ambassador Ronen Sen in Washington, DC. The workers, members of the Alliance of Guestworkers for Dignity, will travel on foot through historically racist sections of the United States, following in the footsteps of African-American freedom fighters, who marched to win basic human rights. “Mahatma Gandhi’s salt satyagraha exposed the tyranny of the British salt tax system. Our guest worker satyagraha will unmask the US guest worker programme as a system of bonded labour,” worker and organiser Rajan Pazhambalakode said. “Our own government turned its back on us after we were treated like slaves,” said Sabulal Vijayan, one of over 500 Indian workers who were bound as forced labour to Gulf Coast marine construction company Signal International, as the group began their journey with a rally at the Department of Labor building in New Orleans. The workers allegedly paid $20,000 to Indian and US recruiters for false promises of work-based permanent residency in the US, and instead they received ten-month H2B guest worker visas and worked at Signal in deplorable conditions. “The only answer is satyagraha,” Vijayan said. 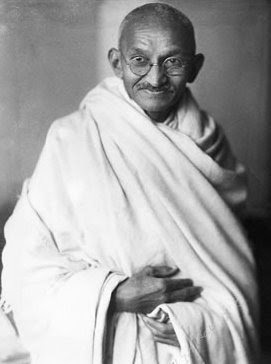 “The father of our nation, Mahatma Gandhi, broke the salt tax of the British government with a satyagraha. We are following in his footsteps to get justice in this country,” Vijayan added. “In my own country I was free, but this programme made me a bonded labourer in the United States. Meanwhile my father died in India without me by his side. I don’t want compensation for my loss — I want justice for the Indians who will come here after me," said former Signal worker Paul S Konar. The workers will meet with their growing network of supporters and allies as they travel through key sites of the US civil rights struggle, including Jackson, Mississippi; Selma, Alabama; Atlanta, Georgia; and Greensboro, North Carolina. They will arrive in DC on March 26 as US Congress prepares for a session in which a massive expansion of the guest worker programme is at the top of the agenda.